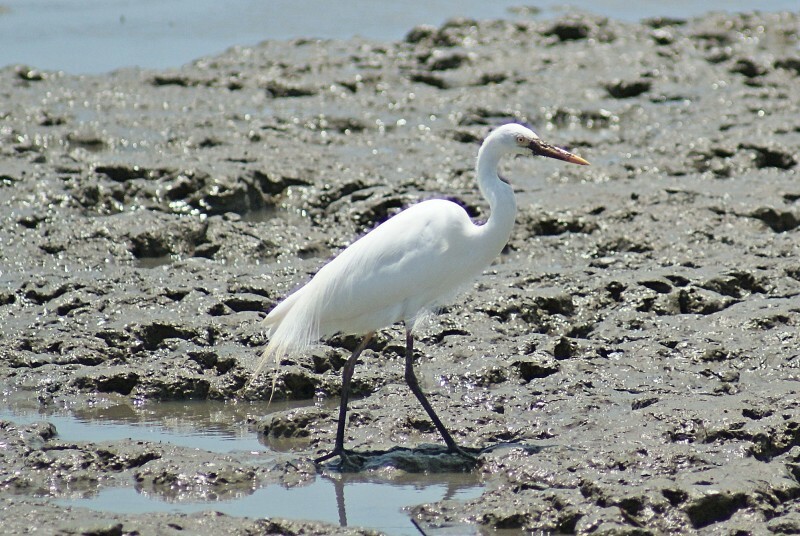 As suggested by the name, this egret is intermediate in size between Great and Little Egrets at 56-70 cm compared with 83-103 for Great and 55-65 for Little. As with herons in general, prey consists of fish, invertabrates, frogs and almost anything they can catch with their long beaks. 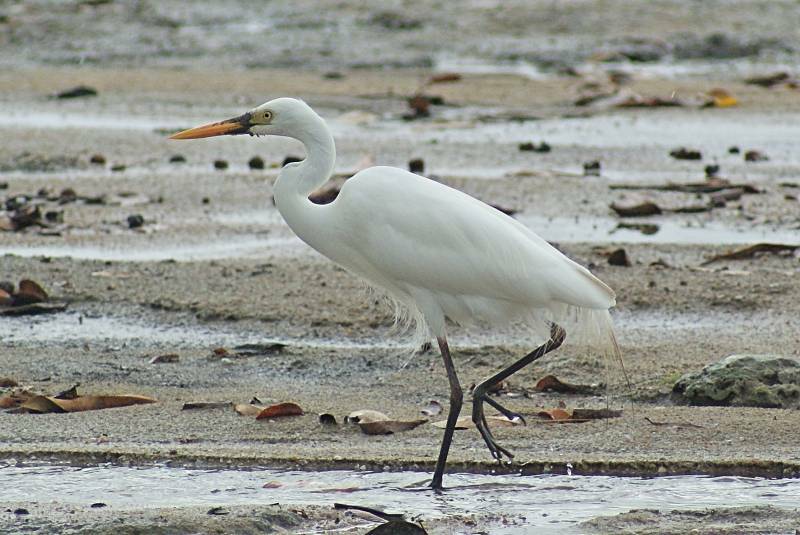 Intermediate egrets are found mainly in the eastern and northern parts of Australia. 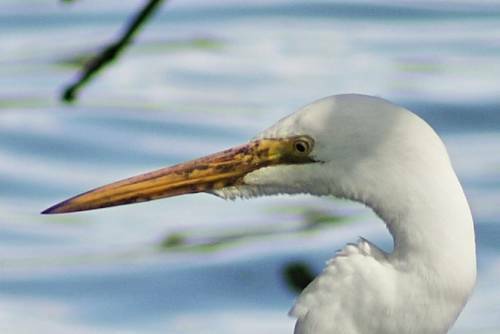 Apart from size, which is often difficult to judge in herons because of their highly mobile necks and posture, the best disgnostic tool for differentiating Great and Intermediate egrets is the length and thickness of the bill (Intermediate is shorter and thicker and usually more orange in colour) and the length of the gape - in Great Egrets, it comes behind the eye while in Intermediates, it stops just short. 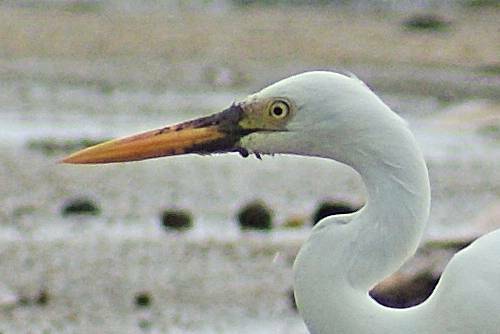 The top photo is an Intermediate Egret and the bottom a Great Egret, both in non-breeding colours. 1-2: Cairns Esplanade, Qld, 13/10/2011.